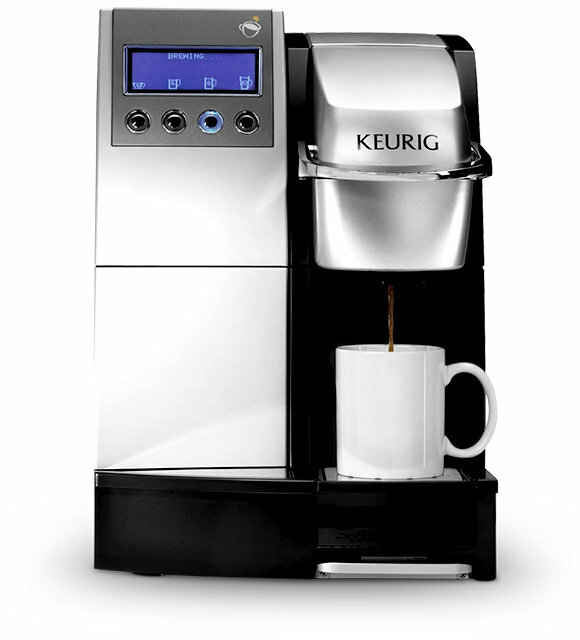 Enjoy hot beverages in under a minute with the Keurig® K3000SE – featuring 4 cup sizes, a drip tray that flips up for larger cups, automatic used K-Cup® ejection and storage feature and a separate hot water button for whipping up a variety of brewed beverages and foods requiring hot water. 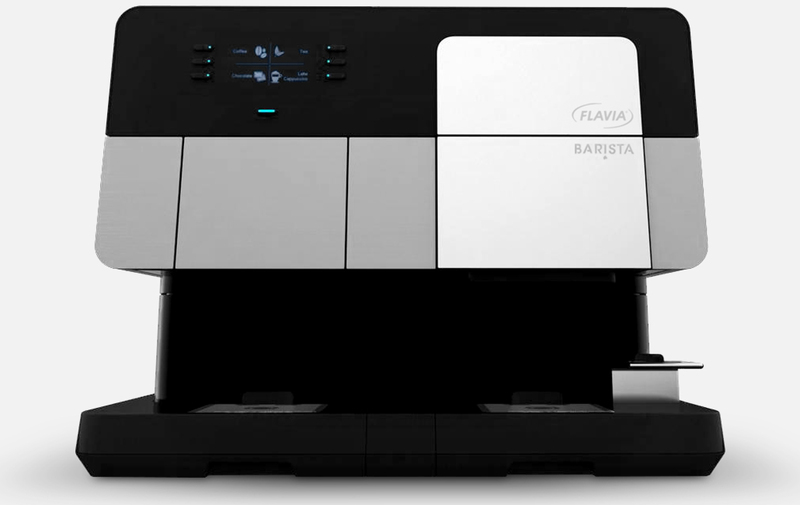 Dimensions (H x W x D): 17.4" x 12" x 18"
Get the best of both worlds with our all-in-one Barista model that marries a traditional FLAVIA® machine with an espresso brewer to deliver the widest variety of high-quality, single-cup solutions. Enjoy everything from fresh-brewed coffee, coffee-based drinks, hot tea, tea-based drinks and iced tea to espresso, espresso-based drinks and hot chocolate and chocolate-based drinks. 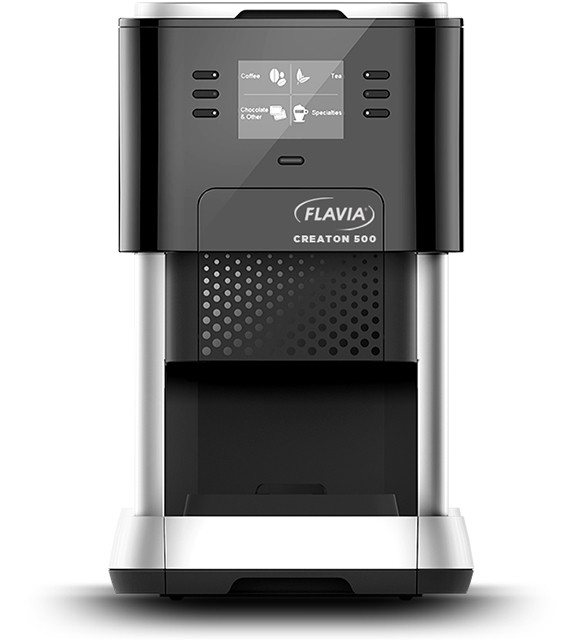 Brew a delicious range of drinks with the FLAVIA® Creation 500, a high-performance workplace brewer that blends stylish design with enhanced drink and menu display options to make the entire beverage-making experience a breeze. And thanks to the patented brewing process, you won't have to worry about crossover flavors from one drink to the next! Dimensions (H x W x D): 17.1" x 10.6" x 19.9"
The 2 Burner Pour-Over Glass model from BUNN® makes it easy to have fresh, hot coffee on hand since it brews immediately once water is poured into the top reservoir. 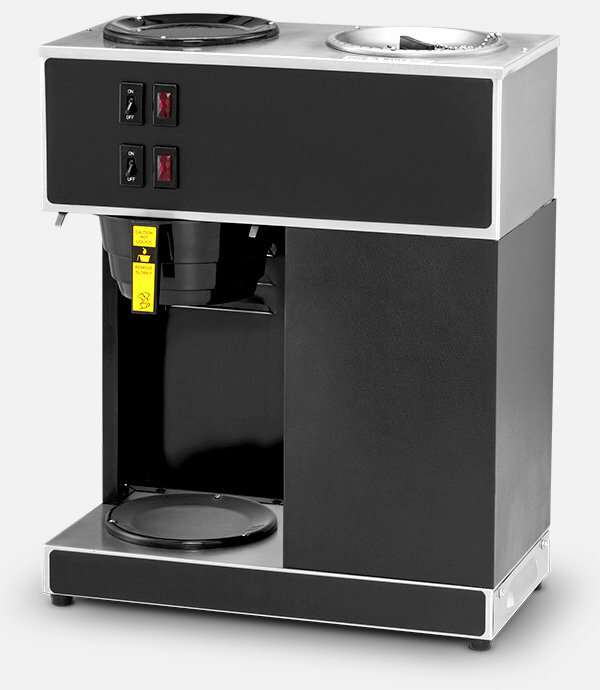 With two separately controlled warmers to keep coffee hot while another pot brews, it offers great flexibility to have fresh coffee available at all times. 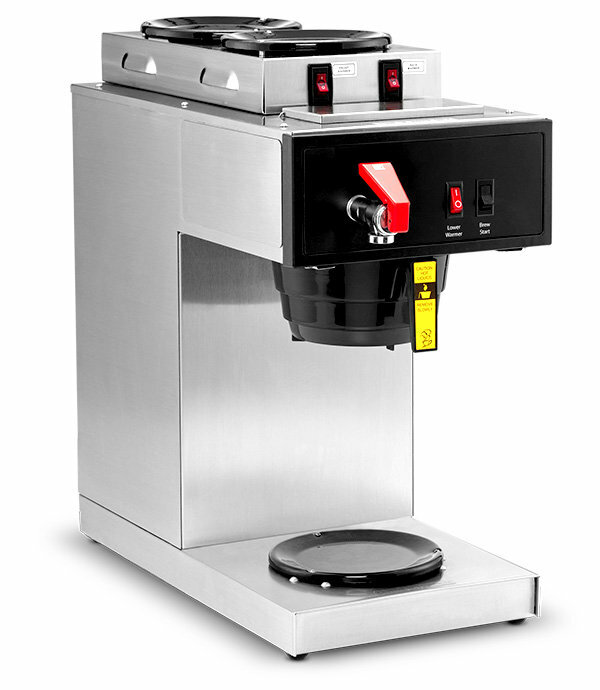 Dimensions (H x W x D): 19.25" x 16" x 8"
The 3 Burner Automatic Brewer model from Newco® makes it easy to brew several pots of coffee for the office and keep it hot as employees make their way to the breakroom. 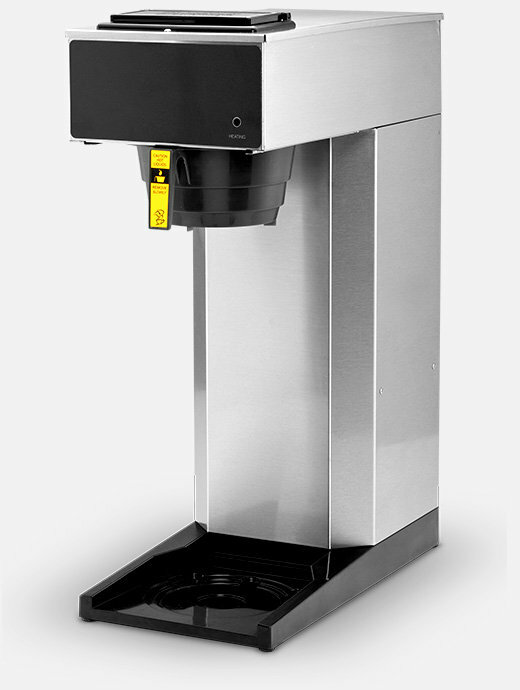 With its stainless-steel construction, backup pour-in feature, easy-to-use brewing capabilities and independent hot water feature, it offers a great mix of durability, simplicity and flexibility. 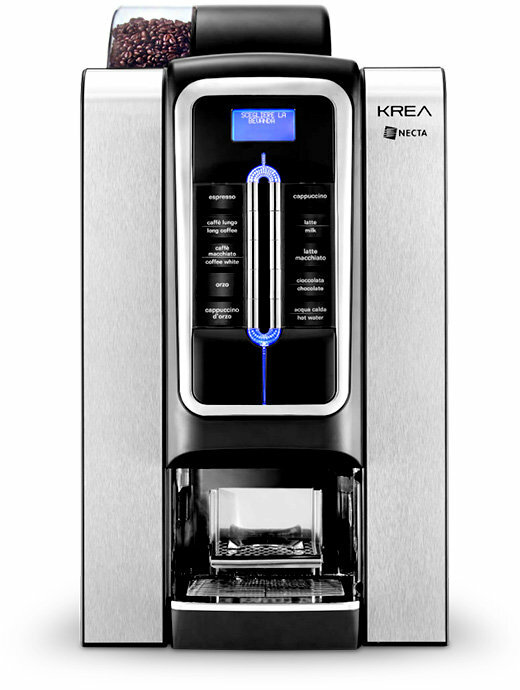 Dimensions (H x W x D): 19.95" x 9.5" x 18"
Contemporary design meets dual functionality with the Krea, the perfect solution for whipping up both American coffee and espresso-based drinks. A combination of LED lights, chromium-plated selection buttons and striking side panels gives the Krea its distinctive look – a perfect aesthetic fit for higher-end workspaces. Dimensions (H x W x D): 30" x 16.25" x 22.25"